“All hands on deck,” said Joint Staff Surgeon, Rear Adm. Colin G. Chinn in his address at the Human Factors: How to Improve Combat Survivability forum in early April. At the time of his presentation, Chinn was Deputy ASD(HA) for R&D, walking a tightrope everyday in a balancing act of weighted responsibilities ranging from the oversight of supporting a $2 billion defense health program funding cutting-edge research, to prioritizing enterprise maintenance and keeping the lens focused on “Big ‘A'” acquisition processes. 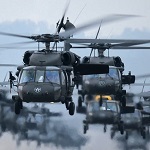 Chinn plays chess and not checkers; his drive and attentiveness to the ‘Future Battlespace’ serves a reminder of the remaining moves that the U.S. has on the board, working hard to modernize health technology and military medicine in the right direction, and to stay a step ahead in the game. Military explorations in new tech like wearable sensors allow Chinn to travel around the country visiting research labs in the pursuit of optimizing medical performance for squads in-theater, large or small. Since completing his medical training, Chinn has served his country both domestically and overseas, including director of Tricare Region West/Pacific, chief of the Navy Medical Corps, U.S. Pacific Command surgeon, and as a dual-wielding director of the R&D Directorate (J9) of the DHA and U.S. Army Medical Research and Materiel Command deputy commander. 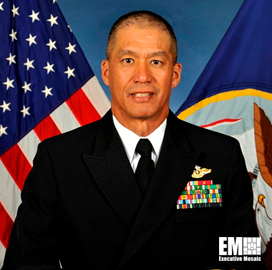 His accomplishments as a doctor and a decorated naval leader speak for themselves, as he continues to push the envelope on developing and delivering an integrated system of combat-ready medical care. Chinn serves as the chief medical advisor to the chairman of the Joint Chiefs of Staff, providing invaluable insight to chairs, the Joint Staff, and coordinating all issues related to health services, operational medicine, force health protection and readiness. Rear Admiral Chinn will be addressing the Potomac Officer’s Club as a keynote speaker at the Operational Medicine through the lens of Defense Health Modernization forum to be held Nov. 7 at the 2941 Restaurant in Falls Church, VA.